Jay-Z and Beyonce have been together for some time now. In the late 1990s, there were rumors of the couple dating. But, these rumors were dismissed because of the age difference. However, late in 2002, the couple made their official announcement. Following the release of "'03 Bonnie and Clyde," there was no turning back for Jay-Z and Beyonce. Initially, most people assumed that Beyonce's parents would have a problem with Jay-Z. But, during the summer of 2003, Jay-Z agreed to take over Def Jam. The deal helped him cross the $100 million mark and helped him earn the respect of the Knowles.' Two years ago, Jay-Z and Beyonce did the unexpected and tied the knot. There have been rumors since this time of the couple expecting a child. Most recently, the rumors of the couple being pregnant took an unexpected high. 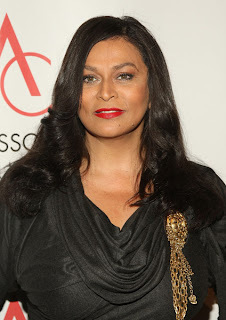 When asked about her daughter's pregnancy, Tina Knowles jokingly replied she was the one who was pregnant. However, he joke was taken seriously and she had to retract her statement. Eventually, Jay-Z came out and denied allegations of her mother-in-law being pregnant and also denied he was a daddy to be. Clearly, there is not a Carter child coming into the world, but Tina Knowles wishes things could be different and she has made this public. While she does have a grandchild through her daughter, Solange, Tina Knowles wishes Jay-Z would give her eldest daughter a son so she could have another grandchild.